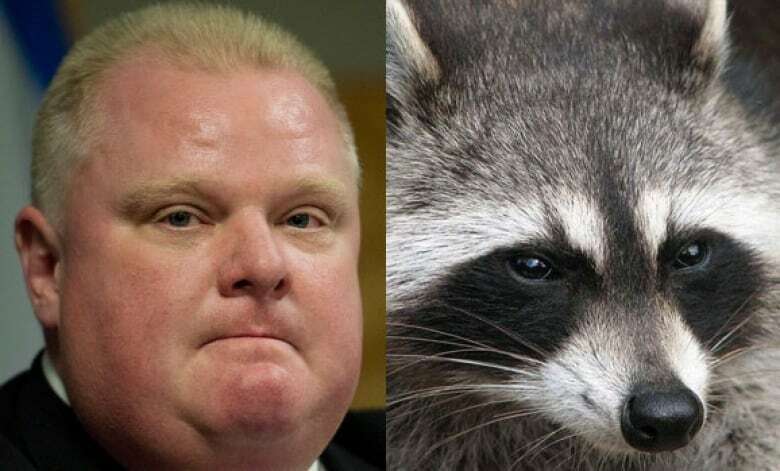 Mayor Rob Ford supports euthanizing raccoons in Toronto, but only if the animals are "going after kids." Otherwise, he does not know what to do. Ford offered his opinions to reporters this afternoon when he was asked about meeting constituents over raccoon problems. He said raccoons are getting less scared of humans, and he has seen it first-hand. "I've had some standoffs with some raccoons," Ford said. "I'm not a big raccoon fan, I'll tell you that straight up." sunset, are unafraid of humans and nothing can be left outside," said Shiner. "We have a serious raccoon problem," Ford confirmed. "I don't have the answer." The mayor said raccoons are no longer scared of him. But he said unless the small, bandit-masked mammals are attacking children, they should not be euthanized. He said his driver, Jerry Agyemang, is frightened of the raccoons near his recycling bins. His wife and children are also scared of raccoons. Ford said he's seen some sick raccoons that frighten him. He sees the raccoons when he takes out his recycling and garbage, and says the creatures do not move when he approaches. "We have to make deals about who is going to take out the garbage at night," admitted Ford. "It's not funny." Animal experts often cite behavioural adjustment to regular contact to humans for many generations as a reason raccoons do not appear to be fearful of humans. Toronto Animal Services reported that although all mammals can carry the rabies virus, raccoons are not a major carrier of this disease in Ontario. The Ontario SPCA views raccoons as a part of Toronto living. "With a little understanding, patience and a few precautions and common sense steps, we can all enjoy the wonderfully interesting wild animals who share our backyards and cities," said the organization.